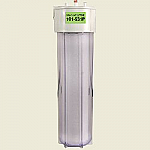 Ultra high quality sediment pre-filter will not decrease water pressure when properly sized. Choose 5 or 10 micron filtration. 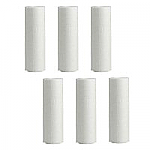 Inexpensive, easy to change replacement cartridges. 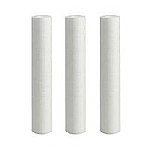 Sediment Pre-Filter 2.5 x 20 Economical, recyclable cartridge, 5 micron filter for high sediment conditions. Or use with well water.